Social Media – Does it HELP or HINDER when searching for a new job? Social Media is a part of every day life today. Many use it to share pictures and updates on family members. Others use it to promote a product they are selling. Some will advertise and start a small business using social media as their primary advertising avenue. For most, it is a reflection of who they are – which can be enlightening – or inappropriate to share with the entire world. When you are in the market for a new position, what you post to social media should be a reflection of who your future employer would want to hire as a part of their team. 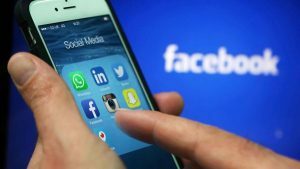 When a candidate like yourself applies for a position or starts communicating with a recruiter, social media websites such as Facebook ,Twitter, LinedIn, Instagram and others are one of the first places hiring managers will go. Many people will have their page set on a privacy setting to protect their professional life from their personal life. This is a good thing…..it indicates that you do not carelessly throw your information out for the world to see. But others might contain content that could give employers reason to doubt their confidence in you to fill the position in a professional manner. For example, college graduates will have shared pictures from social events that actually prevented them from being hired as they are portrayed as irresponsible or careless. In the same manner, sharing too many opinions can also be negative. It is good to have opinions and values, but when those are shared to an extreme or it seems these issues overtake all things professional or use of offensive language, these will be send an automatic red flag! Social Media is everywhere and can be a very positive tool when you are in the market for a new job. So just like you need be attentive to the content you post, you should also be aware of the time spent on these sites seriously as well. Are you attracting the people you want to attract? Are you presenting yourself in a manner that will make you stand out as EXCEPTIONAL to a recruiter or a hiring manager? Before you post, tweet or share anything, consider how a potential employer would view it. Social media is just one piece of the puzzle in the hiring process today – there is the resume, work history, unique skills and abilities all that come together to make you stand out in the work place today. But social media can give the opportunity to see a little of the person you are – more than the black and white words on a page.